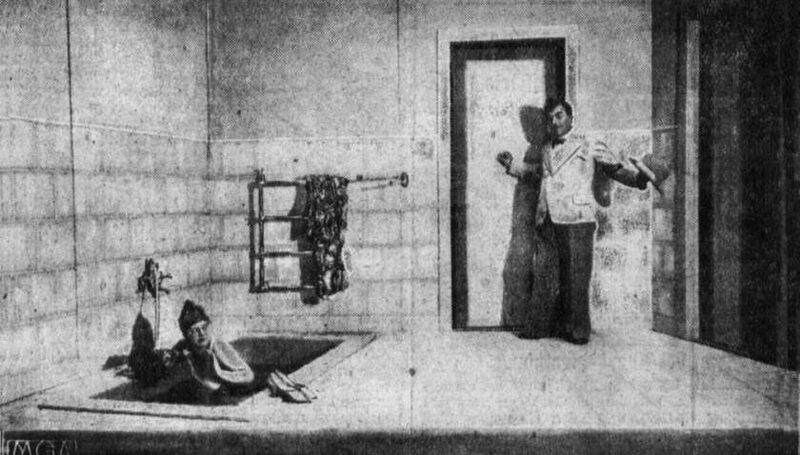 The infamous “bathroom scene” from the premiere of Paul Hindemith’s opera Hin und Zurück at the Kroll Opera in Berlin, in 1929. Click play for the ninth episode of No Sounds Are Forbidden. Host Matthew Friedman explores the adventurous, and often chaotic street-level avant-garde of Central Europe between the World Wars. In Berlin, Prague, and Vienna, radical composers, writers, and critics promoted a new vision of European culture that rejected the “immutable truths” of the Anciens Regimes. For a brief moment in the 1920s and 1930s, Central Europe’s opera houses and cabarets swung to the pulsing rhythms of unrestrained experimentation, revolution, and jazz. But the rise of the Third Reich, and the Nazis’ campaign to cleanse Europe of “Bolshevism, modernism, and Judaism,” snuffed out avant-garde music and art — and the artists who created it, in exile, and in the camps. This episode features music by Kurt Weill, Hanns Eisler, Stefan Wolpe, Paul Hindemith, Ernst Krenek, Viktor Ullmann, and Erwin Schulhoff.